Our European race is in a struggle for survival, don't sit idly by as we fight for existence. The White European peoples in America and abroad are racing towards the cliff of extinction. 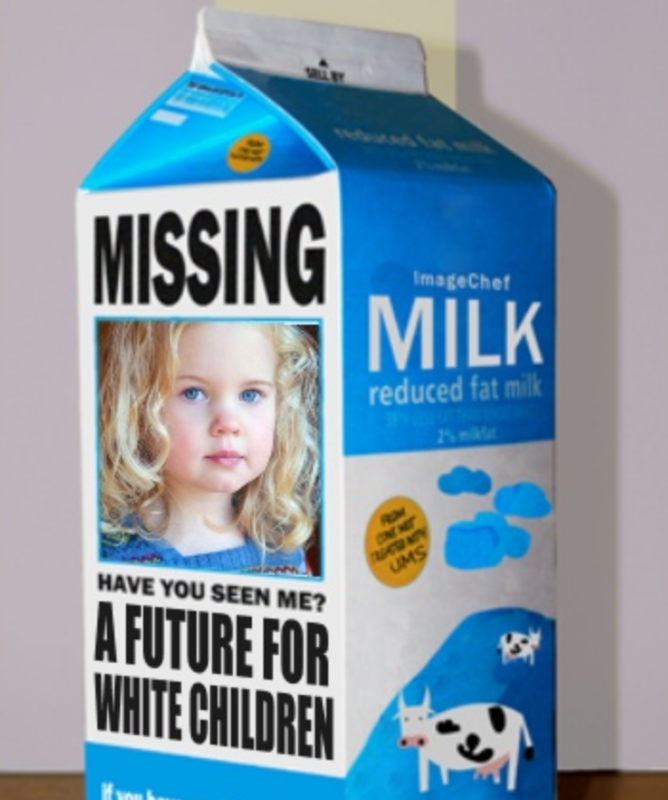 With White births below replacement levels, historical rates of intermarriage, and a tide of third world immigration flooding the border, our people will be reduced to a minority within this century. The future of our world is a dark one, literally and figuratively. The non-Whites who will come to replace us will recreate the failed societies they have fled. Our nations will be plagued with high levels of violence, poverty, corruption and instability. Ask yourself, is this what the Founding Fathers wanted? Is this even what your grandparents wanted? More importantly, is this what you want for your children? The future is not set in stone. History has proven, once our people are united no obstacle is too difficult. We can change the course of history and build a clean and healthy future. We appeal to all patriotic men and women with a sense of duty and responsibility. Join our cause, and let us sweep this disaster into the dustbin of history. If you want to live for something greater than your individual self, fill out the contact form by clicking the ''Get Involved'' button to the right.